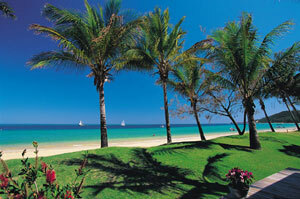 Positioned within Tangalooma Resort, our secluded villas open onto long white beaches and breathtaking ocean views. Designed as a home away from home, each two story Tangalooma villa is set up with all the latest conveniences necessary for your a romantic getaway or enjoyable family retreat. 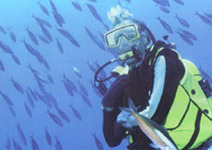 A Tangalooma villa holiday is just what the doctor ordered and at such an affordable price too! On your Moreton Island holiday, after a day of amazing adventures and experiences, you can organise a BBQ on the deck overlooking the beach, or simply keep inside and listen to some music or watch a DVD, your Tangalooma villa has it organised. Sleeping up to eight people, each Tangalooma villa is equipped with laundry and cooking facilities and provides direct access to beach. Simply walk from your door down to the beach or stroll 10 minutes to the Tangalooma Resort Activities Desk, Beach Massage Hut, or restaurants. Each villa has two bedrooms. 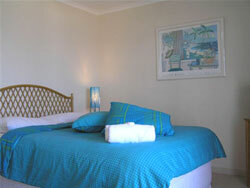 One bedroom has a queen sized bed and balcony, the second bedroom provides two single beds. A double bunk and full bathroom. Each Tangalooma villa has a self-contained kitchen, TV area, DVD player, lounge, microwave, additional toilet, laundry and washing machine, bunk bed for sleeping another two persons, exterior back deck with furniture and BBQ. The Tangalooma villa will allow you to experience resort style sleep-ins and awake to the noise of the waves on your doorstep. Enjoy breakfasts al fresco overlooking Moreton’s stunning waterways and do not forget about the romantic gourmet dinners at the Tangalooma resort restaurants. Whatever your desire, you'll enjoy this ideal getaway.